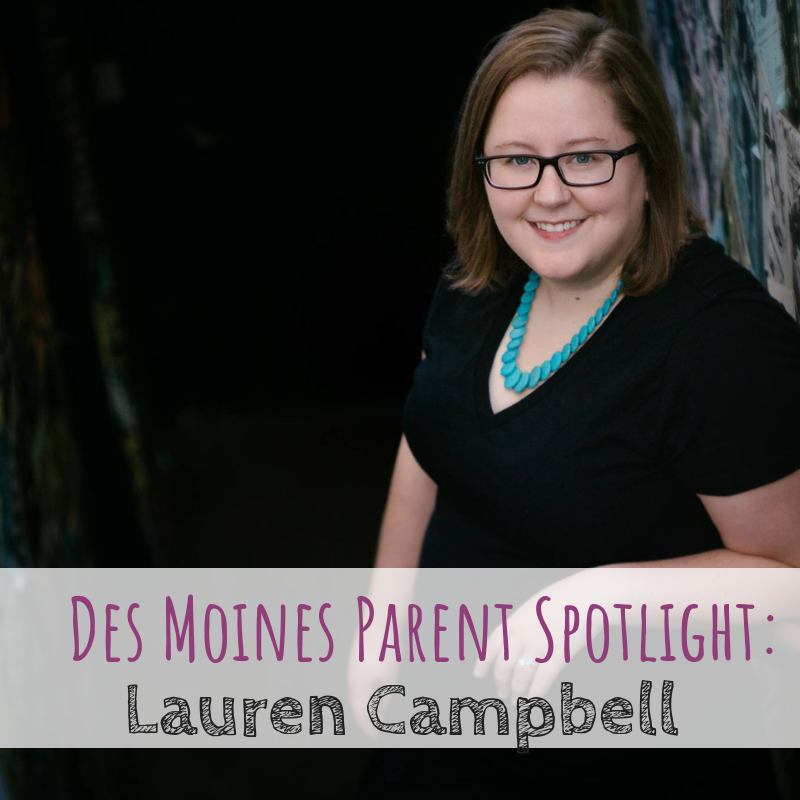 I have known Lauren Campbell for several years through various things and when she became pregnant last year, I was honored to be her postpartum doula. 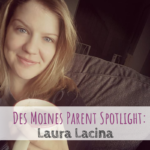 Lauren plays a huge role within the Windsor Heights community. She owns two businesses and works a full-time job. This mama stays busy! 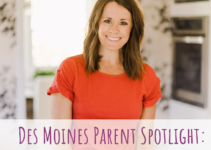 Learn more about her businesses, her Des Moines favorites, and some of her great advice for other parents. 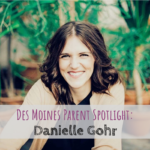 I’m a Des Moines native, living in Windsor Heights with my wonderful husband, amazing step-daughter, and our newest addition – a sweet baby boy! Oh! And our three crazy pups! 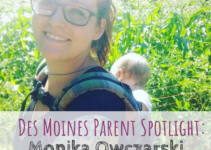 Last August we moved our oldest to college and a month later our youngest was born – talk about an adjustment! We went from late night curfews to late night feedings! My parents are just over a mile away, and my sister is about two miles away, and we are so lucky to spend so much quality time with them and have their help when we need it! Before kids, my career required me to travel about 60% of the time, including a brief relocation to The Philippines, and a stint in west Texas. Dating while traveling that much was a struggle, but I managed to find the sweetest guy who I somehow convinced that watching the same movie over Skype while on opposite sides of the globe, or grabbing burritos after my flight gets in at 11 pm counts as a date. I try to stay active in my community – I serve on the board for the Windsor Heights Chamber of Commerce, and chaired the 2018 & 2019 4th of July Parades. My husband and I both have full-time jobs, in addition to our side gigs. 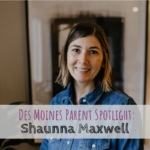 We own Fully Manual, LLC which includes my photography business, Lauren Campbell Photography, a studio and event space that is available hourly (The Studio in Windsor Heights), and a severely neglected travel blog (www.haspassportwilltravel.com). I also help out over at www.thekidsperts.com – mostly behind the scenes. I started my photography business almost nine years ago, but have slowed down since Andrew was born. I feel so fortunate to have the luxury deciding what work/life balance looks like for me and my family. The Studio in Windsor Heights is a multipurpose space, primarily for photographers and creative-types to meet or photograph clients, but it has also been used by yoga instructors, health coaches, and for graduation parties! We have monthly members who have unlimited access, but also allow hourly rentals. The Studio was dreamt up as I outgrew my in-home studio, but couldn’t justify a studio for my part-time business. So my husband and I made an investment in the perfect little space on University in Windsor Heights. We spent a couple of months remodeling, and hosted our ribbon cutting on April 1st, 2016! Some people are surprised that we host other photographers which would be helping our competition, but The Studio ties into our firm belief that when you have more than you need, you should build a longer table, not a taller wall. My photography business grew by accident. I always loved taking photos and was asked again and again by family friends to take their photos. I became an official business when I started getting referral inquiries. It is so important as a small business owner to have liability insurance, and it’s the first thing I recommend to anyone starting their own business! In the early days of my business, I rented from a shared studio and was thrilled to have the opportunity to start my own in Windsor Heights in 2016. Like many people who have a ‘side hustle’, my business is too big for my home, but I can’t justify a dedicated space. The Studio in Windsor Heights allows photographers, videographers, and other small business owners to have a ‘home’ for their business in a professional environment. Not only does it help my photography business, but it feels really great to help other small businesses succeed. At six months old, Andrew is still at that highly portable stage! A lot of our outings are to Target or to get out of the cold and walk around the mall. As he gets bigger, I can’t wait to take him to the Des Moines Children’s Museum! We’re not quite at that ‘play outside’ phase yet, but living in Windsor Heights, I can’t wait to make memories down at Colby Park. I grew up playing in that park and know that there are many ‘Nights in the Heights’ and other fun events to look forward to! My husband and I are so lucky to have family nearby and who are eager to babysit! My mom and dad hang out with Andrew just about every Friday night so we can have a date night. We’re fans of pizza and trivia at Felix & Oscar’s, or hitting up some of our favorite restaurants. Living in Windsor Heights, we have so many unique places to eat – from world-renowned Chef Baruthio at Baru66, to the Puerto Rican Restaurant, or the new Argentian restaurant that just opened. Sweet Swirls is another new addition to our community, and I can’t wait to walk there on the bike trail in warmer weather! All in all, dinner or drinks with my best guy is all I need! Gosh, if you have the magic formula, will you let me know? HA! So far, it’s been focusing on what I can do and letting go of the things I can’t. 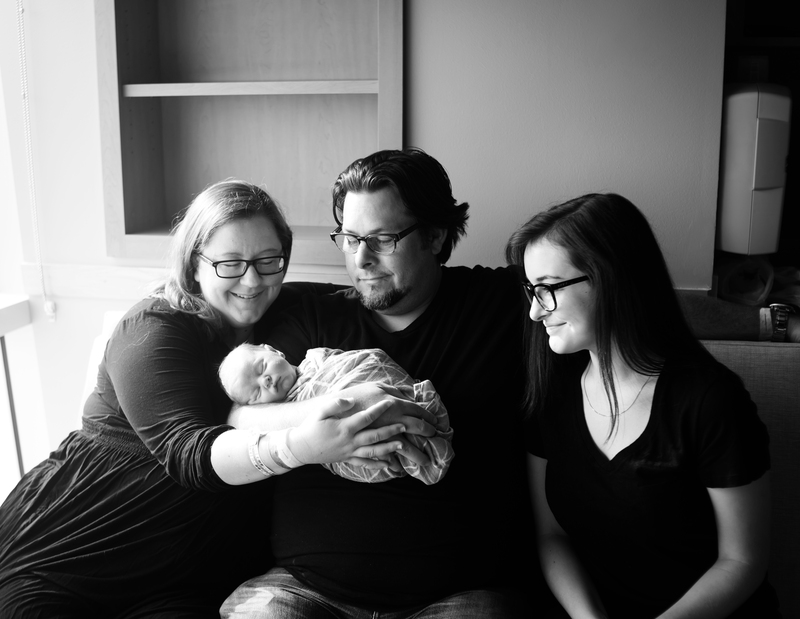 I made sure we got off to a good start by hiring Erin as our post-partum doula. She helped take care of me in those early days once my husband returned to work. My mom, dad, and sister and other loved ones have all been amazingly helpful since Andrew arrived. Learning how to prioritize with each change in life has been so important for me. Keeping a strong relationship with my husband has been the foundation that makes it all possible. He pulls more than his own weight and our life simply wouldn’t be possible without him. 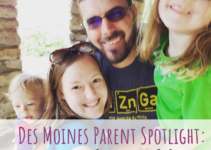 Together we prioritized our kids – attending and volunteering at his daughter’s high school activities, supporting her in college, and now caring for our newborn. Today I prioritize those sweet baby snuggles after work because I know they won’t last forever. Sometimes that means the basket of clean clothes aren’t put away for a few extra days, or dinner is a take and bake pizza from HyVee instead of something homemade. But keeping the important things important is where he and I find happiness. I’ve made the tough decision to slow down my photography business and focus on mini-sessions on select dates. Coming to that decision wasn’t easy, because I know I’ll be letting some people down, but I’ve spent eight years growing my business and it’s okay to turn my focus elsewhere for a little while. I spent about eleven years traveling for work, and the safety demonstration on every flight tells you to put on your own oxygen mask before helping those around you. This means figuring out what you need to do to be at your very best, in order to give your loved ones your best. For me, this means coffee on my way to work (something to look forward to each morning after daycare drop off), my weekly Target trip with my mom and sister, and the occasional pedicure. 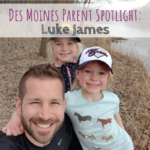 Staying involved in my city and chamber also helps me keep my sense of identity while feeling like I’m helping to make my community even better in the future for my son’s enjoyment.